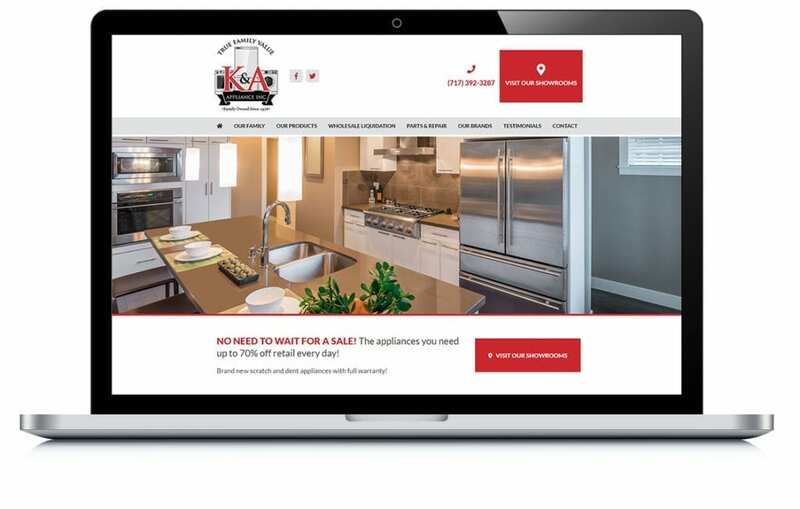 K&A Appliance is a local appliance dealer with a HUGE 30,000-foot location right here in Lancaster, PA. Their problem was that they weren’t getting enough traffic – either to their website, or their showroom. We redesigned their website to communicate their unique value to their customers and drive more foot traffic to their showrooms. Their new, user-friendly site now also serves as the hub for all their offline marketing efforts. View related Consumer Products examples.